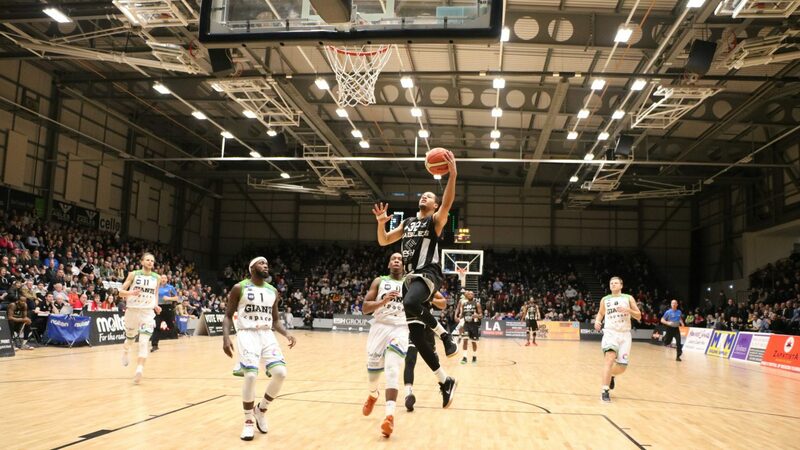 Last Friday at the third time of asking, Esh Group Eagles Newcastle finally celebrated a win at the new Eagles Community Arena with a 93 – 85 win in the BBL Championship over Manchester Giants. For veteran guard Drew Lasker one of Fab Flournoy’s trusted lieutenant’s it was a great feeling to finally get off the mark on their new home-court. Lasker himself had to step up and show true leadership qualities with Rahmon Fletcher leaving the game early in the third period. 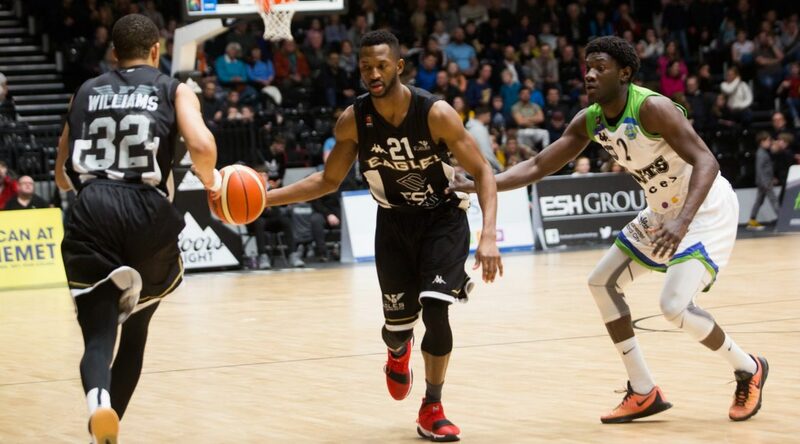 He helped guide the team and his back-court partner Kyle Williams through against a tough Manchester side although Lasker felt that’s what his role is. 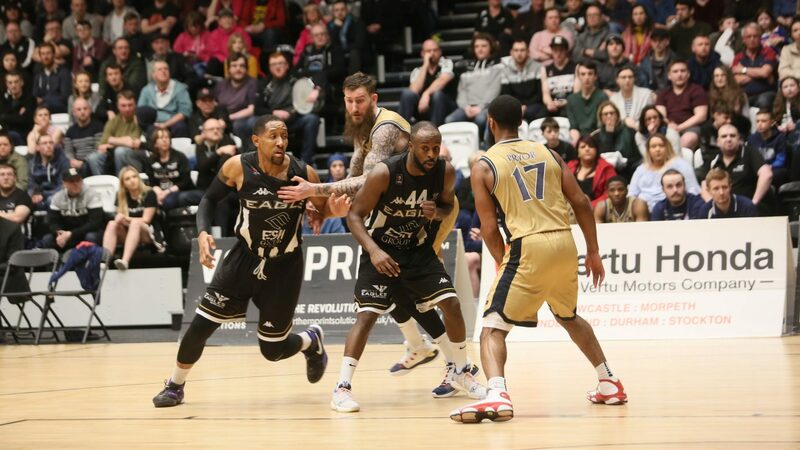 This weekend is another big one for Lasker and the rest of the Eagles as arch-rivals Glasgow Rocks come to the Eagles Community Arena on Friday in The BBL before the Eagles head out on the road on Sunday to face Manchester once again, this time on their Giants home-court. 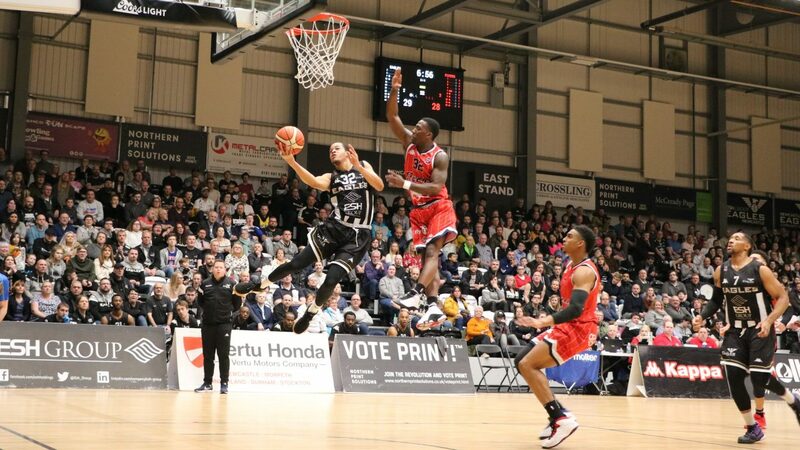 Tickets are selling fast for this Friday’s game, but are still available online now or by calling 0191 2453880 and choosing option 1 for the box office.